Former Police Officer Jeremy Moore. Omar Hassan from Vision Express, which offered delegates free eye consultations. UK Border Agency’s Andy Coram. Matt Hague from telematics company Microlise. The Ricoh Arena, Coventry was the setting for this year’s annual Compliance Conference hosted by the Road Haulage Association. The prevalent theme was the health and safety of your drivers and making sure that they remain compliant. Delegates were provided with a digital voting device and throughout the various presentations, were encouraged to answer questions in a multiple choice format. Some data was used to gather statistical analysis whilst other questions were used to gauge the audience’s knowledge and understanding of various topics. 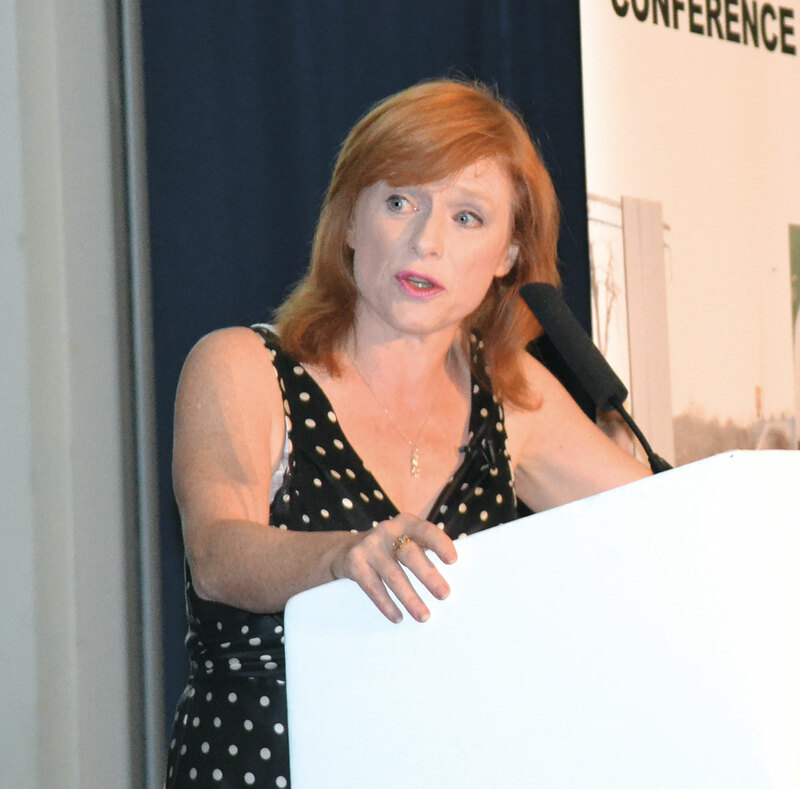 Dr Sarah Jarvis, General Practitioner and Radio 2 doctor, gave a vibrant and engaging presentation on the huge increase in Type 2 diabetes. Her research was tailored to group 2 licence holders although the information and statistics were well worth heeding. In the UK, there are 3.2m people living with diabetes, 2.7million of these have Type 2 and it is estimated that a further 500,000 have the condition but are undiagnosed. It is the driver’s responsibility to inform the DVLA of any medical condition that could impair their driving and this includes treatment for both types of diabetes. Almost one in four driving licenses with medical notifications relate to this condition and in 2014 that equated to 575,000 drivers. She went on to explain the effects of hypoglycaemia and the effects it has on the driver. Interestingly, statistics showed that there was still a stigma attached to having diabetes and those drivers that were taking medication for it were less likely to regularly check their blood sugars, making them a greater risk of having a hypo occurrence. She advised that during an attack, drivers should turn off the engine, moving out of the driver’s seat. They should then take a fast acting carbohydrate and should not continue driving for at least 45 minutes until their blood sugar levels have returned to normal. Police statistics show that 25-30 serious incidents a month occur on our roads as a direct result of hypoglycaemia. Sarah reinforced that poor diet and lack of exercise had a key role in people becoming diabetic and acknowledged that motorway services and traditional driver rest stops were severely lacking in fresh produce. The irony was not lost on the high fat, high sugar, refined carbohydrate foods served to delegates during the course of the day! A Remote Enforcement Office is being introduced which will collate information from a number of sources, including working with vehicle telematics companies, which will generate notifications to operators of non compliance and impending compliance issues. Not responding to DVSA communications will be considered as non-compliance and could make your company more likely to be investigated. Conversely, a system referred to as ‘earned recognition’ means that operators working with the DVSA and allowing them access to their systems will mean that they are less likely to be targeted for roadside inspection, thereby improving vehicle and driver down times as the agency recognises their investment in compliance. Earned Recognition was designed, in conjunction with the industry, last October. It uses company standard and organisational audits already in place which, if they meet their requirements, won’t need to be redone. It is currently being trialled in the South West and bus and coach operators who wish to be involved in the trial should contact the DVSA or if they are members of the CPT, they should contact their Technical & Engineering Executive, John Taylor ([email protected]). If the trials are successful and do not highlight any major problems, Caroline intimated that the new system could be expected to be in place for the beginning of the new financial year and re-training of the team would be completed. I mentioned to her that that there are still some smaller operators using analogue tachographs and asked how the digitised system could affect them. 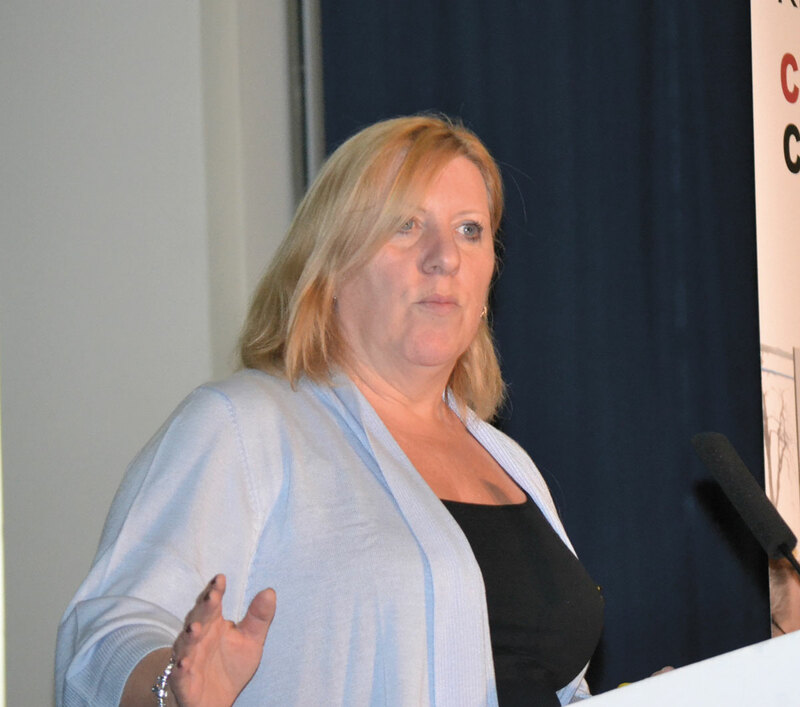 She was keen to reiterate that the DVSA wanted to work with operators and that they would look at options whereby these companies may be able to photograph and upload the tachos with the use of a smart phone. Steven Meyerhoff, one of the Directors of transport law specialists, Backhouse Jones, presented ‘Managing sickness in the workplace’. Employment law advice bureau, ACAS estimate that the cost to the UK economy due to sickness absence equates to £17bn per year and that if someone is off for eight weeks, they are less likely to return to work. Steven looked at the different types of sickness absence and suggested that every company should have a sick pay strategy and this should be clearly stated in the Contract of Employment and or within a sickness policy. 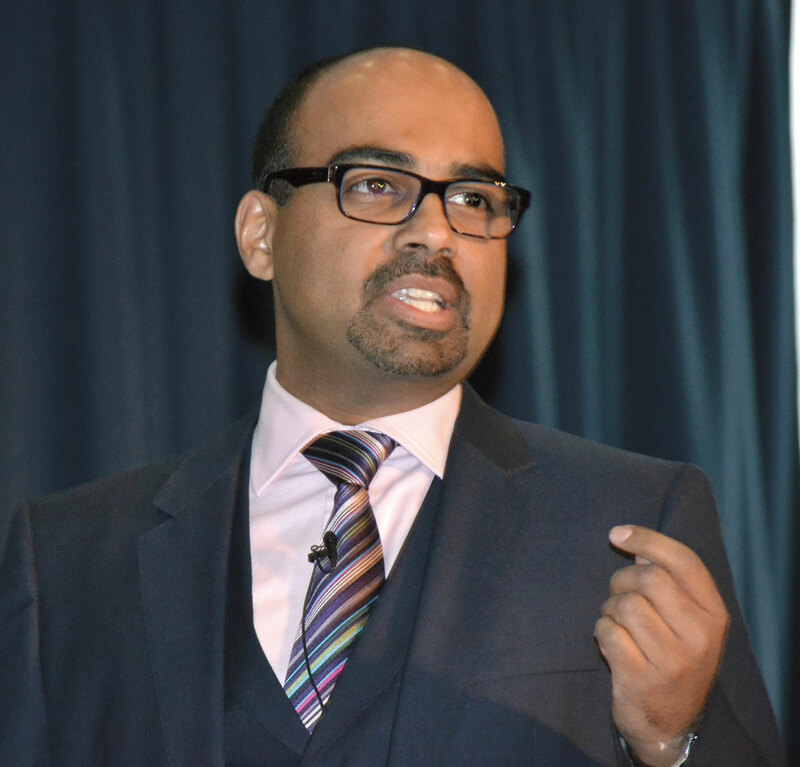 He provided some practical tips on dealing with sickness absence and avoiding claims from employees for unfair dismissal. These included implementing a return to work policy which can help highlight regular absence patterns; keeping records of all sickness related communications, getting practical advice from Occupational Health (if they exist in your business) and looking at practical ways that the employee’s role could be altered, or adjustments made to their environment, to accommodate them. Stephen said this was particularly relevant in cases of disabled employees and although there is no legal requirement to make adjustments, you must show that you have actively considered the cost implications and safety aspects of making any alterations. It is also worth noting that Government grants are available for this purpose. Regarding sickness during pregnancy, he said that employees had special protection during the term of their pregnancy and whilst on maternity leave and suggested that companies should seek specialist advice. The tricky subject of holiday and sickness absence was discussed and he reiterated the importance of having a policy on this available to employees. He advised that disciplining employees that you believe ‘to be swinging the lead’ is perfectly acceptable if you can present grounds for your argument. 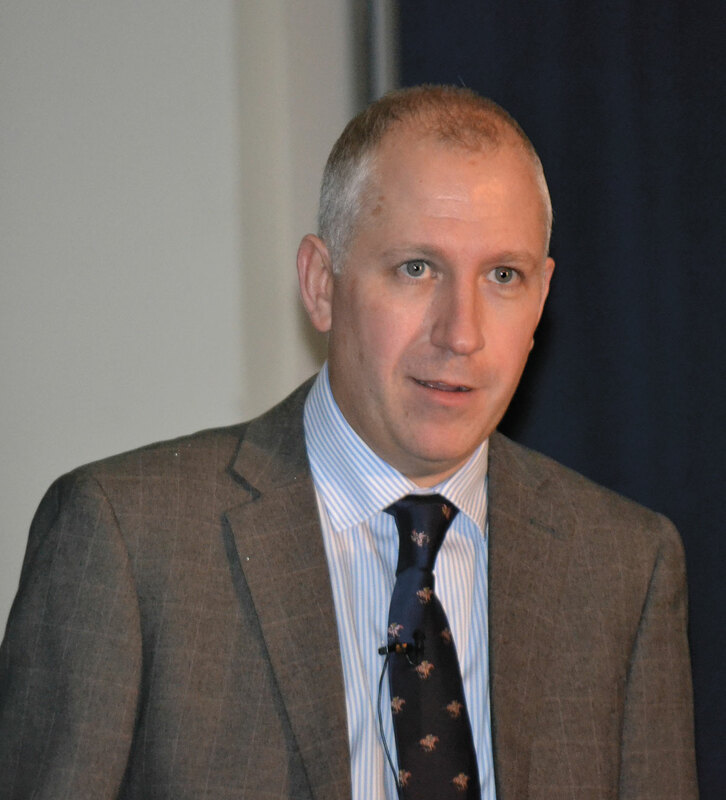 The second doctor to take the podium was Dr Richard Evers from Synergy Health who spoke of the recent introduction of drug driving testing and the effects of alcohol in the system. The main focus of his presentation was driver impairment and he demonstrated the five tests a trained enforcement officer might carry out and the effect that both prescription and non prescription drugs can have on the body. Surprisingly, amphetamines cause no obvious signs of impairment; however a driver who has taken them is six times more likely to cause a serious accident. Richard believes that this is because the drug increases your likelihood to take risks. Statistics presented from 2013 showed that from the 683,631 drink tests carried out, 71,675 tests came back positive and that 17% of all road deaths that year were related to a positive drink driving test result. Since the introduction of the drug test, 902 arrests had been made between March and May with 45% of the results proving positive. An interesting survey on cannabis took place in the USA that showed that illegal levels of the substance can remain in the blood for up to 18 days. This is particularly worth noting as Richard claimed that cannabis is the largest recreational drug in the UK. Closing, he said that driver impairment can also be caused from colds and flu symptoms, hangovers and tiredness and although there is no laws governing these, taking non controlled drugs to remedy their effects can have serious consequences. A Drager Drug Test 5000, which is home office approved, was available for operators to see in the exhibition area. 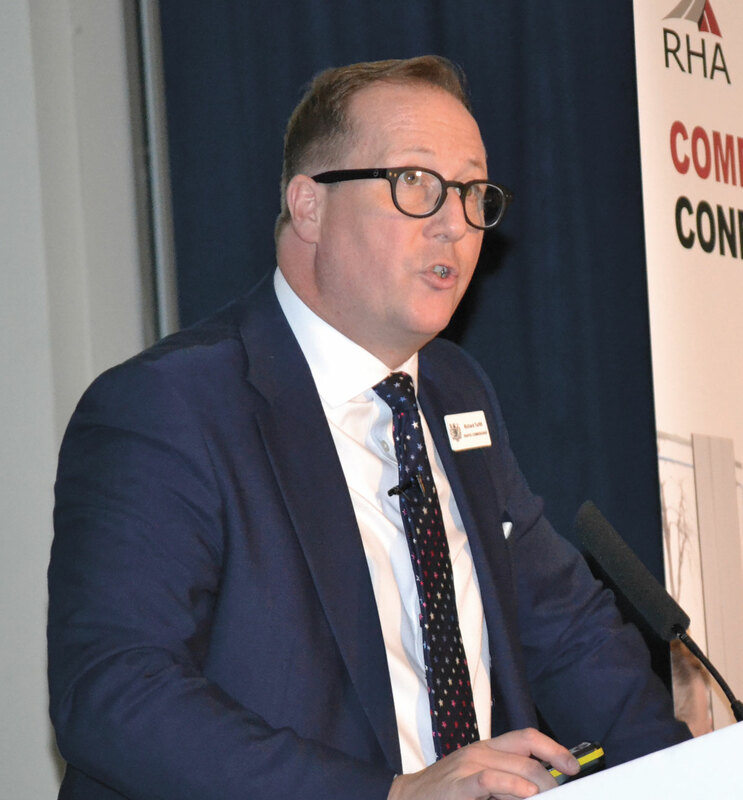 Traffic Commissioner for East of England, Richard Turfitt, answered a number of questions that the RHA had previously posed as well as presenting the changes that had been made to assist operators. One of the questions posed was whether there should be one single traffic area? Richard suggested that local, regional knowledge was incredibly helpful and gave examples where this had been proven. He also suggested that there would be financial implications to changing boundaries and that there were few companies that operated out of more that one area. Changes to the directive include guidelines for Transport Managers (TM) who must be approved by a Traffic Commissioner. They suggest the number of weekly hours that should be dedicated to the position, dependant on the size of the fleet along with a non exhaustive list of the types of activity which might be expected of a TM. 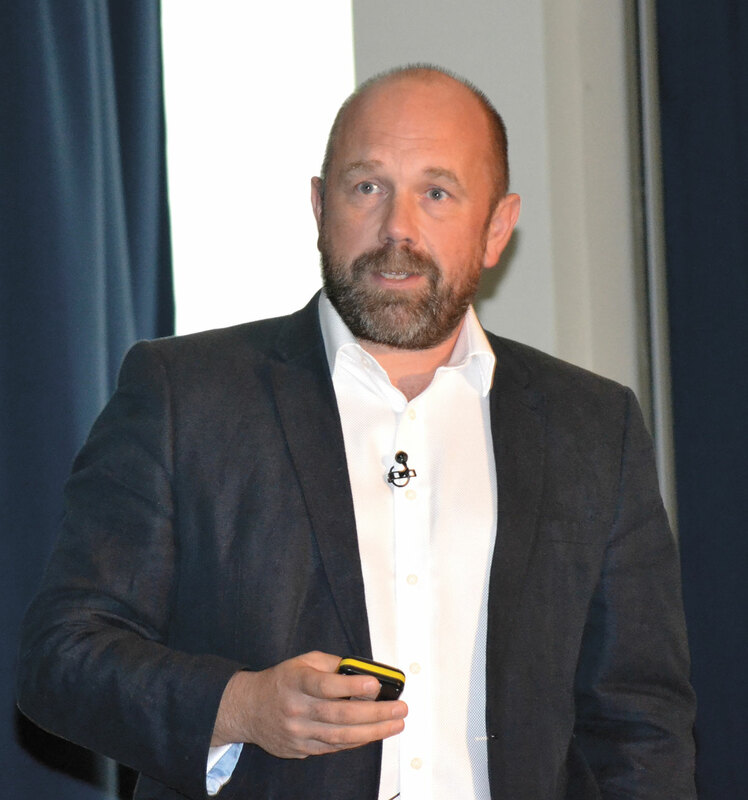 He was aware of the failings of what he referred to as the ‘ping ping of correspondence’ which could be minimised by integrating departments and streamlining processes. The nine week wait for processing licenses was also a subject for revision. A new IT system which is currently being trialled with selected operators should help to improve this. 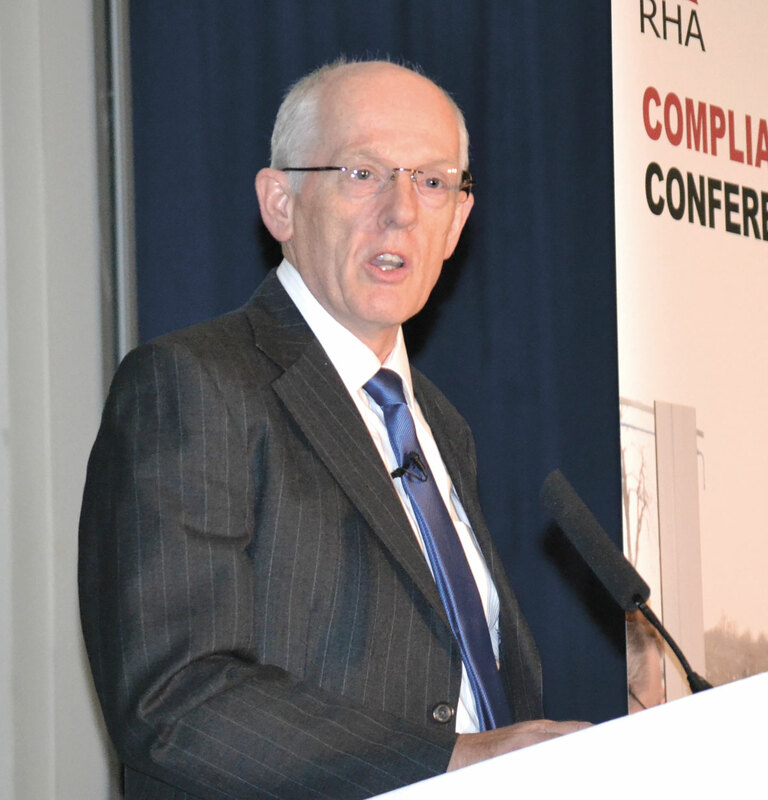 Richard said that 87% of all O licence applications were incomplete and that the new system won’t allow them through. This move to a fully digitised system should save the industry £16.7m. He explained the role of the Police in road safety, saying that prosecution is at their discretion and that their role also includes teaching, advising and encouragement, with prosecution intended for more serious offences. CVEG’s role is to look at road policing policy in this sector and to discuss issues that may influence changes to law. Representatives from each police region, along with the DfT and DVSA work with Government to ‘ensure the right outcomes and best road safety as a result.’ Examples of CVEG’s role includes officer training for digital tachographs. NDORS sets out to educate drivers who have committed a minor offence in the hope of correcting bad driver behaviour. It was started in Devon and Cornwall in the 1990s and is now available through every police force in the UK. In 2007, the ‘speed awareness’ course, which many of us are familiar with, was introduced and in 2013 further courses were introduced for careless driving, driving whilst using a mobile phone and driver awareness, such as lane discipline. In 2014 1.3m people attended one of the six courses available. For those not familiar with them, the offender is offered a fixed penalty and the offer to attend the course, for which there is a charge. By attending, they will not receive any license endorsements and do not have to declare them with insurance companies. However, if an insurance company specifically asks you whether you have attended a driver awareness course, you have a legal obligation to tell them. The details of your attendance remain on file for three years and should you reoffend within this time frame, you will not be offered further retraining. Who is your licence holder? The second presentation from Backhouse Jones came from Director Jonathon Backhouse. His subject was legal entity and focussed on the different types of trading entities and their advantages. He explained the financial risks and liabilities of being a sole trader or a partnership and the benefits of becoming a limited company. This related to O licenses specifically and he explained that they cannot be transferred. If one of your partners leaves the business, the license is void as it is issued against all of the partners equally, likewise, if a sole trader becomes a limited company, they must apply for a new licence. Directors of a company do just that, direct and all Directors, whether financial or operations, have the same legal obligation. If up before a Traffic Commissioner, saying ‘I’m the Finance Director’ is not sufficient argument for not knowing what is happening within the business. Jonathon concluded by advising that everybody went away and checked their operating licence to make sure it is correct. 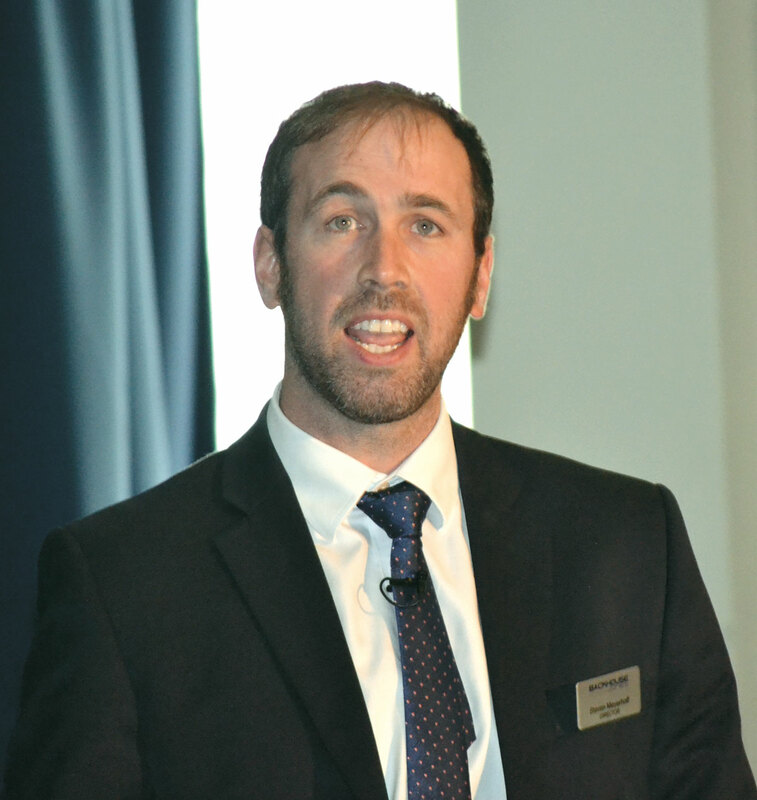 Matt Hague, the Executive Director of Telematics specialists, Microlise, spoke of ‘the role of technology in compliance’. Although predominantly geared at trucks, their telematics package is suitable for the bus and coach industry and they have been trialling an interactive bus stop app with one operator, allowing customers as well as the operator to track the vehicle’s progress along the route. They have also been working closely with the DVSA on their digital compliance programme. Features of the Microlise system include tachograph data, vehicle walk around checks, driver behaviour, safety, vehicle health and integrated workshop management. According to the DVSA, 85% of vehicle defects could have been picked up on the driver walk around checks. 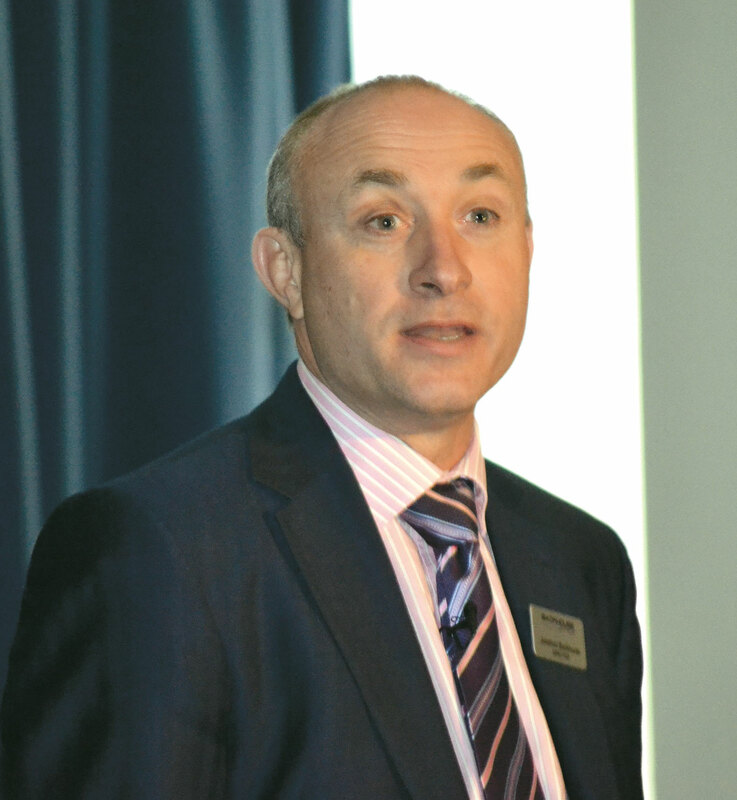 A further survey from Microlise showed that 84% of operators surveyed would be prepared to share their data if it meant less vehicle stops by the DVSA. The penultimate presentation of the day was from Andy Coram, Assistant Director of UK Border Force, who spoke of the current illegal immigrant crisis and in particular, the work that they had done in Calais. On the day of the conference, he commented that eight Albanians had been found hidden in the luggage space of a minibus. He estimated that by the end of this year, there would have been 80,000 attempts to cross to Britain, double that of last year. 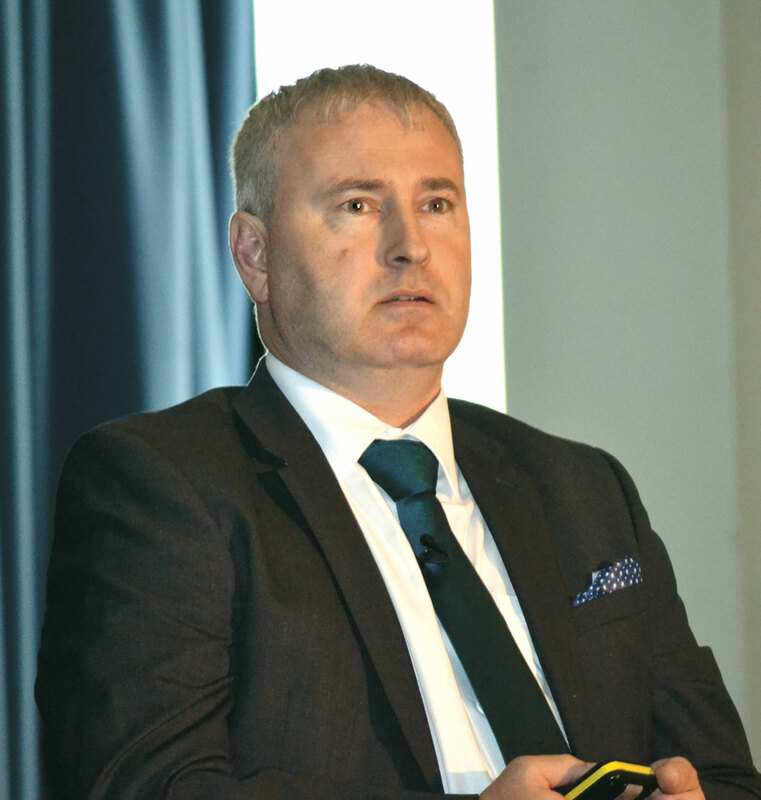 Andy spoke of some the technology used to detect ‘clandestines’ and warned that both the driver and the company could each be fined up to £2k per illegal entrant found. He made recommendations as to how vehicles should be secured and said walk around checks and secondary checks after leaving a vehicle unattended should be a matter of course. The day concluded with a talk from Vision Express’ Head of Professional Services, Omar Hassan, who emphasised the importance of eye health and regular eye checks. He said that 14% of drivers surveyed in the UK admitted to driving with poor vision and one in four drivers had not had an eye test within the recommended two year period. Vision Express was one of a number of exhibitors available to speak with during break out sessions and they were offering non prescription complimentary eye screening. Other exhibitors included event supporter Volvo Truck and Bus, Goodyear Tyres, Microlise and Telelogis, a cloud based location intelligence platform.